First off, I know people who work at zoos who I’d rather not lose their jobs. I state that because I think that when writing an article about a topic, it’s just common sense for an author to declare any competing interests first. Like mentioning whether or not said author is on the board of directors for an organization that thinks several groups of non-humans have human rights. That seems like it’d be a thing to mention early in an article about zoos, not late in the article. When I speak of zoos below I’m including professionally-maintained aquariums. I’m using “zoo” as shorthand for “place where the public can see non-native, non-domesticated, non-human animals” which includes marine and freshwater and terrestrial non-humans. 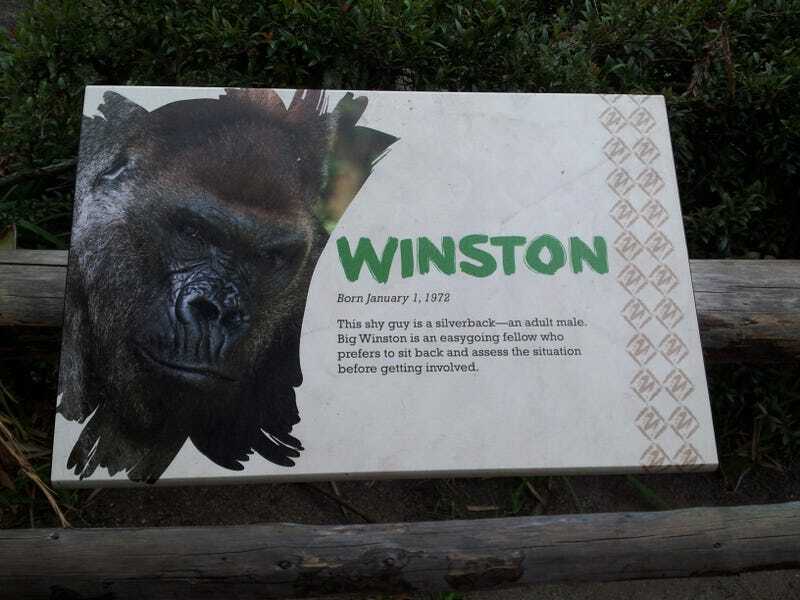 The main problem with zoos is that they developed from a completely useless precursor. Zoological gardens did basically the same thing as botanical gardens: they existed in order to be places that showed off cool living beings to people who couldn’t afford to travel to see the beings in the wild, and without much in the way of education or posing societal questions about the long-term costs/benefits of holding non-humans in captivity. And oh dear lords were some zoos racist as hell trigger warning: that link is about an incredibly terribly treated human and that story does not end well. Many but not all zoos over the course of the past century have moved past those unfortunate earlier moments in zoo history, but many arguments about zoos are still stuck in that history. And that’s partially because zoos can’t refocus their efforts as successfully/quickly as they (in an ideal world) could. Zoos are somewhat like natural history museums in the sense that when their staff work on research, this work generally doesn’t happen in view of the public. For museums this research is “hiding” in the research collections and for zoos the research is “hiding” in labs (sometimes on-site), universities, and off-site locations for zoos. Zoo conservation studies don’t happen in plain sight; what is in plain sight is primarily non-humans who draw in audiences. In an ideal world, zoos would only have non-humans on display who fare well in captivity: individuals of species which already have been taken out of the wild, which breed often and prolifically in captivity and which don’t have large geographical ranges which zoos cannot realistically emulate. And there’s a few million species of non-humans on the planet so there’s lots of candidates here for what animals would be in ideal zoos. But the general public has been unfortunately told to expect that zoos should include charismatic megafauna. This is a cross-generational cross-cultural international assumption: that a zoo should have non-humans in it that are simultaneously large, easy to see, and carry an awe factor … and really not good at being in captivity, such as elephants (please no), big cats (why), cetaceans (argh), and non-human apes (argh even more). No one who writes about ending or drastically reforming how zoos work is doing so because they are worried about the harm that zoos do to snails. They’re writing because (to pick on one particularly in-the-news example) western lowland gorillas are close relatives of ours who we feel deserve better than to be put on display needlessly. And I think that’s an entirely valid viewpoint; even if a member of Gorilla gorilla gorilla probably (?) isn’t smart enough to realize that captivity isn’t good for him/herself, we are smart enough to realize it, and we should feel motivated to act in whatever way we can to make that captivity as rare as it needs to be. And everybody (… well, hopefully) working in zoos is aware of this. They’re aware that it’s way better for a western lowland gorilla to be alive in the wild than alive in a zoo. But they’re also dreadfully aware that “the wild” is increasingly becoming fragmented and hazardous to the long-term existence of non-humans. There’s not a lot of non-human non-domesticated animals whose populations have been getting larger over the course of the past few centuries. When the biodiversity crisis became increasingly obvious and human civilization decided to try to prevent the extinction of non-humans, zoos are the institutions that were turned to, but they cannot perform miracles. They have to work with the reality they’ve been given, which is that even with the strongest of conservation efforts, some non-humans species might be the walking dead. I’m not trying to be too much of a downer here but some species and subspecies are not going to survive the rest of this century. Or even this decade. And zoos are placed in the not-happy place of having to choose whether to do what they can to save a dying species or give up. I don’t see how it’s constructive to argue that they should give up, and I’m actually quite curious as to how anyone could think it’s ethical it is to argue that the best thing to do with a critically endangered species is sit back and hope it doesn’t go extinct. I think that over the course of this century that zoos will become more, not less, important to the cause of preventing extinctions, and so if our civilization wants to have a long chat about which species we should let die off, let’s stop putting that chat off and engage in it.